Inhorgenta Munich delivers a positive summary of the fair. 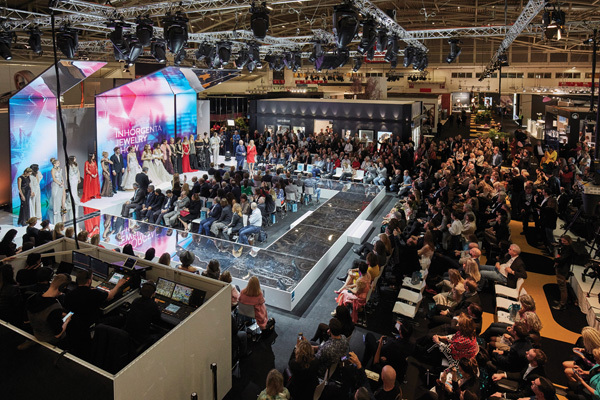 With 1,052 exhibitors from 41 countries, the international trade fair of the timepieces, jewellery, and gemstones industry reported a 2.5 percent growth. 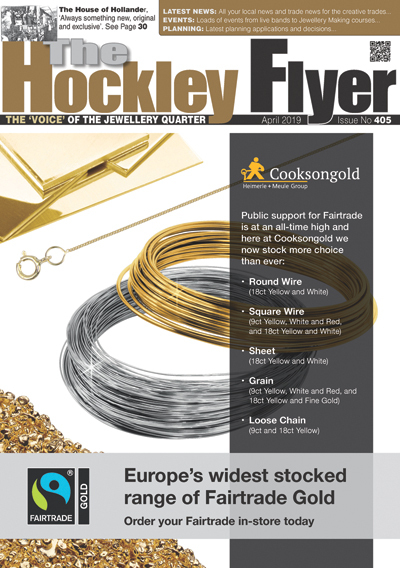 The number of watch exhibitors even increased by 16 percent. The trade fair again welcomed around 27,000 visitors. Particularly strong was the increase of visitors from abroad. “We actually were able to exceed our positive expectations once again,” said Klaus Dittrich, CEO of Messe München. “There was no trace of the economic downturn predicted by many experts. On the contrary: The industry is full of optimism going forward into 2019. Garmin was one of the companies attending Inhorgenta Munich for the first time with its own booth. It appears that the expectations of the world’s leading producer of high-quality smartwatches and wearables were completely fulfilled. “Specialized watch retailers are the most important and also one of the fastest growing sales markets for Garmin. This is why we plan to establish ourselves as an exhibitor at Inhorgenta Munich in the coming years,” said Kai Tutschke, Managing Director of the DACH region at Garmin. Citizen, which was present at Inhorgenta Munich 2019 with its Swiss brands Frederique Constant, Alpina, and Bulova, also offered a positive summary. “We met with very many interested visitors and were also able to acquire some new customers. We’re looking forward to next year,” said Karsten Isermann, Director Sales at the Citizen Group. Renowned watch producer Maurice Lacroix was also persuaded to return after 16 years of non-attendance. 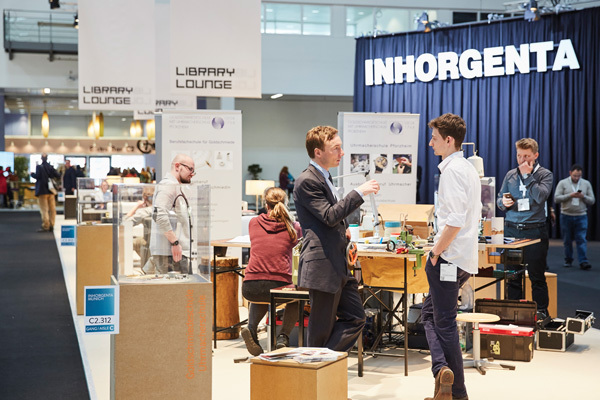 “The past four days at the trade fair fully confirmed that it was the right decision to exhibit again at INHORGENTA MUNICH,” said Managing Director Stéphane Waser. World-famous Italian jewellery producer Marco Bicego, whose customers include Rihanna, Kylie Minogue, and Hillary Clinton, also attended Inhorgenta Munich for the first time. “Inhorgenta Munich was an interesting opportunity to strengthen our presence on the German market, which is very important to us,” explained the owner of the company, Marco Bicego. The Inhorgenta Award, which was presented for the third time for the best pieces of jewellery, timepieces, and designers, has developed into a highlight. A jury of nine people, including actress Bettina Zimmermann, top model Franziska Knuppe, and designer Markus Hilzinger, chose the winners in eight categories. Garmin took out the prize for the “Smart & Connected Watch of the Year” with its Fenix 5 Plus. 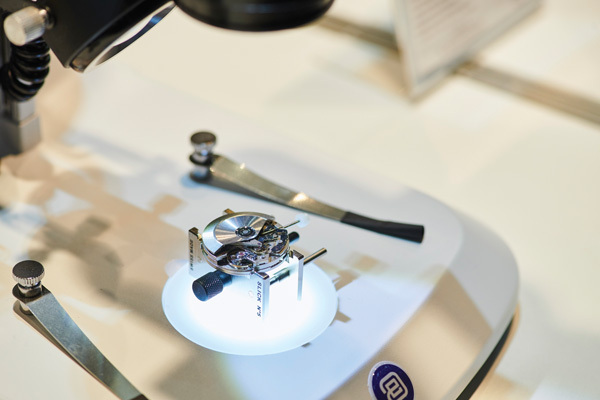 Like their colleagues from the timepieces industry, jewellery exhibitors were also very happy with Inhorgenta Munich 2019. “We are very satisfied this year – especially with the number of visitors to our newly designed booth. We were able to acquire many new orders and talk with important partners. For us, Inhorgenta Munich is important because the customers can understand our concept much better when they see it for themselves,” said Alexander Leuz, Managing Director of diamond jewellery manufacturer Schaffrath. Messe München hopes to continue this positive atmosphere at Inhorgenta Munich 2020, which will take place from February 14-17, 2020.